Bitcoin Investment strategy - Bitcoin worth more than gold? Why is Bitcoin worth more than gold? Bitcoin Investment strategy – Bitcoin is a digital currency that is not linked to the operations of a bank or government and allows its users to send money anonymously. 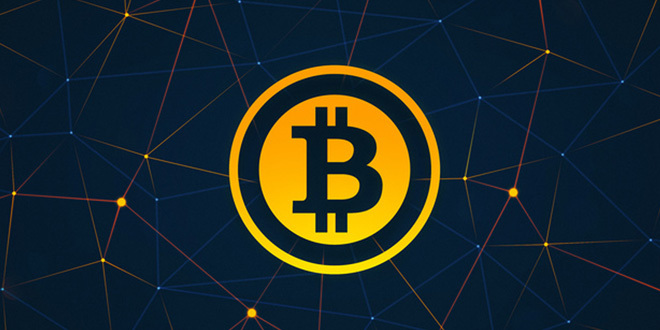 The coins are created by users that create an algorithm which is known as Mining Bitcoin. When using Bitcoin, it is decentralised, meaning that large banks can’t control the money putting users at ease. You have probably been hearing a lot about bitcoins, but largely clueless about what it is. Knowledge about “digital gold”, as bitcoins are often referred to, is still at a rudimentary stage in India. Bitcoins are probably the best-known cryptocurrency. You can use it for payments without any third party involvement like the government, bank, or a market regulator. Consider bitcoins like a big ledger shared by several users. When you pay for a product or service with bitcoins, or get paid, the transaction is entered into a ledger. Computers, using complex mathematical equations, compete to confirm the transaction. The winner is awarded more bitcoins. The process is called “mining”. But don’t get trapped into it. Only the computer geeks get their coins this way. Bitcoins are electronically converted to long strings of code having monetary value. Recently, one Bitcoin traded for $1,734.65, according to Coinbase, a company that helps users exchange bitcoins. Bitcoin value is worth more than an ounce of gold, which trades at less than $1,230. Bitcoin was launched in 2009 by a person or group of people operating under the name Satoshi Nakamoto. Nakamoto disappeared as Bitcoin began to attract attention. In the beggining, people were not too excited about Bitcoin but Techies found it to be a great innovative solution to convert their currency and not have it controlled by large banks. Fin24 reported that Bitcoin, for the first time surpassed $4 000 by growing optimism, due to faster transaction times which will hasten the spread of the “cryptocurrency”. Events that made it possible was that a bitcoin-clone called Bitcoin Cash was created. Unfortunately, it received less attention than most people expected. A few days later Bitcoin developed SegWit, a code modification that allows for more transactions to be stored as it frees up space in the blocks. 1. A Bitcoin account is easy to create than even setting up a bank account. 3. Transaction fees are lower than banking fees. 4. Payments show in a matter of minutes, which is as soon as Bitcoin processed it. The precious metal gold, has been around since the beginning of time. Whereas Bitcoin has been around since 2008 and it is a digital currency. Gold would retain it’s value and status and you can hold on to the physical form of it. Whereas Bitcoin is volatile, and yet to have an exact value as most of it’s value is being tied to investors and speculators that believe in it’s future development. You cant change Gold in terms of its structure or physical form, whereas Bitcoin or cryptocurrencies can be ‘forked’ and it’s blockchain can be altered just like ETH and ETC. That being said, the ROI of Bitcoin in the short term would defintely outweight Gold’s. Especially now when Bitcoin price is raising, it would be very risk to buy it, as there is no assurance that is it not going to fall. In my opinion a simple purchase of non-active asset such as Bitcoin or gold is not productive. It does not provide any service or goods in exchange for value and thus does not create the true value. It is based on speculation, faith and opinion. You should invest as much as you are willing to loose the next day. Such investment is more a simple purchase than an investment as there is no underlying business. Bitcoins or any other altcoins. Preferably Bitcoin, Litecoin, Etherium and the Ripple. STEEM looks promising. Gold although doing well, there’s no comparison to the gains that you will make with crypto currency’s today. Durability. Both bitcoins and gold are almost perfectly durable. Bitcoins require the internet and bitcoin miners, but if we lose the internet we obviously have bigger problems. Gold may wear away slightly if not handled carefully. Transferability. Bitcoins can be sent from one address to another in seconds. Gold must be physically transported and exchanged. Divisibility. Bitcoin can be divided right now into individual satoshis, with 100,000,000 satoshis making up 1 BTC. Gold can also be divided, but not nearly as easily or as precisely. Scarcity. The bitcoin protocol results in a hard limit of 21,000,000 bitcoin units that will ever exist, of which 14,925,900 have already been issued. The scarcity of gold varies depending on how much effort is being expended to find it and how much of it is found. Recognizability. Bitcoin is easy to recognize and impossible to counterfeit. Gold is pretty recognizable, though it must be tested for purity under some circumstances. Fungibility. Bitcoin is usually totally fungible, where one bitcoin can substitute for any other. However, because bitcoins are all tracked on the blockchain, it is possible that governments may consider certain bitcoins tainted somehow, which might make bitcoin slightly less fungible. Mixing services will always preserve fungibility in some form though. Gold, if melted and purified, can not be tracked so easily, albeit it can be easily tagged in ways that are hard to detect and remove. You can have/buy/transfer as little as ~0.0000071411 USD (at current price) in Bitcoin. Lack of awareness: Most people are still unaware of the crypto currency. They need to be properly educated in this regard. Networking is important to spread the word. The list of businesses accepting bitcoins is still only a handful. A company should also have knowledgeable staff handling digital currencies, and how they help people use the digital currency. Risk and volatility: Bitcoins are volatile largely because there’s a limited number of coins with the demand increasing with each passing day. But it’s expected that the volatility will decrease with time. Still developing: Bitcoins are still in their infancy, with incomplete features at various stages of development. New features are being developed to make the cryptocurrency more accessible and secure. It largely depends on what is the purpose of using it. Generally, you may find it easier to use standard payment systems. You also avoid variations in currency value, when paying in your currency. However, Bitcoin gives you anonymity and may be a geeky way to send money to someone. Just bear in mind that Bitcoin is not just like sterling or dollar, it involves more complicated algorithms, so you may want to pay using one of the bitcoin payment facilitators.